Kerala Houseboat Cruise & timings. Two main type of Kerala Houseboat Packages Available. The check in time for boat houses in Kerala backwaters is 12.00 pm. And at the time of arrival you will get a welcome drink and then lunch and dinner. Alleppey boat cruise offers Kerala style food, A must experience for your taste buds. The back water cruise offers you a special dish called ‘Karimeen’. Alleppey cruise tour starts at 1.00 pm and the boathouses in Kerala back waters anchor down by 5.30 pm you can enjoy amazing vistas in the boat houses in Kerala backwaters, Alleppey style. If you want to enjoy this Alleppey cruise tour to the maximum, it is better to arrive by 12.00 Noon in Alleppey. It varies upon the selection of cruises in Kerala If you are arriving by 2.00 pm for the back water cruise you are opting for a house boat cruise on the same day by the time you reach the boarding point, the cruise will be over. The cruise boat would anchor and stay stationary. Check in 11 am followed by a welcome drink. Checkout 5pm. Lunch included. Alleppey houseboat club have various types of boat cruises, 1 day cruises,multi-day cruises, etc. Alleppey Boat cruise offers various routes with various interiors and exteriors which guests experience via four routes offering different kinds of bliss and vistas through staying in boathouses in Kerala backwaters. Alleppy-Nedumudi and keep in mind that cruises is only in one route. Boat houses in Kerala backwaters anchor their cruise boat by 5.30 pm. the back water cruise will come to an halt. Boat houses in Kerala offer the same the experience which other places of accommodation offers to guests . Back water cruises offers various facilities like cable connection in you’re boat cruise. 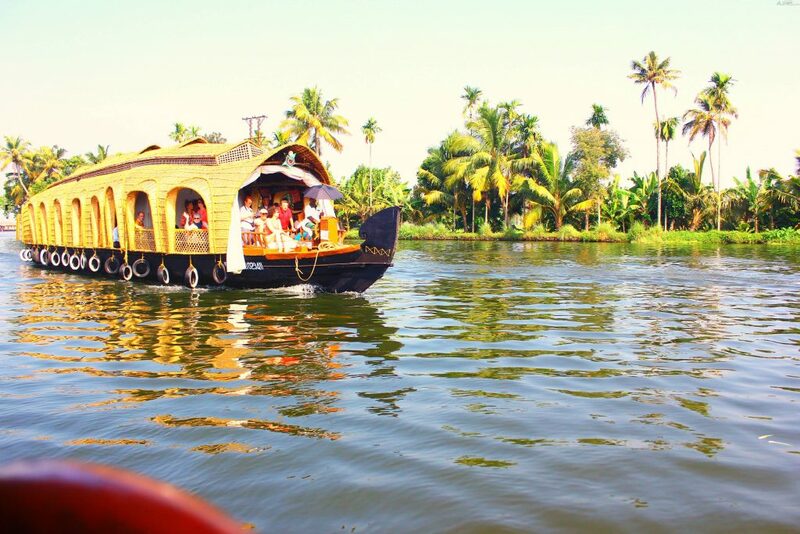 Kerala river cruise and holidays are to be experienced at least once in a life time. the boat houses in Kerala backwater are a romantic getaway for many of our guests.Finally After checking out of the Alleppey cruise tour or the 1 day cruise, visit RKK( Ravi Karunakara Museum) before leaving Alleppey. Our guests come to experience the boat houses in Kerala backwaters every time they visit God’s own because the back water cruises in Alleppey have a different experience every time a guest books a house boat cruise. Every boat cruise have different interiors and fits the vibe which the guest expect when they cruise in Kerala. 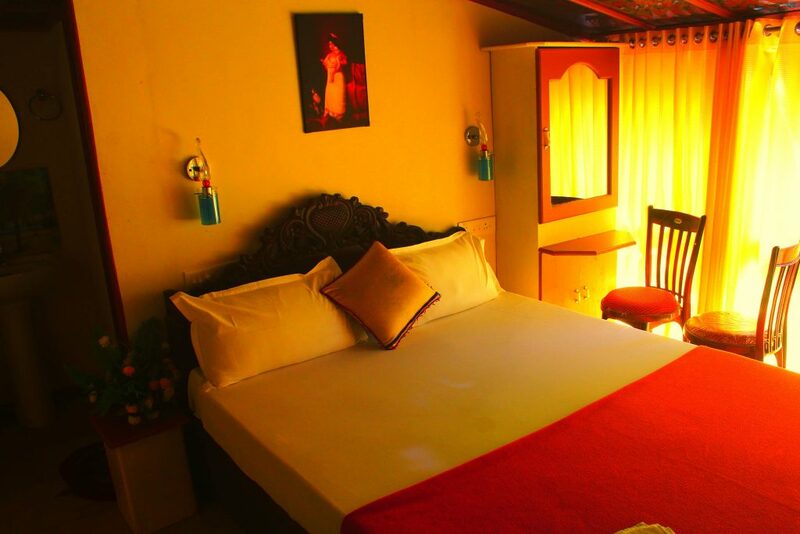 While you’re on the Alleppey cruise tour, guests are offered a well furnished kitchen, toilet and 1,2,3, or 4 bedrooms. There will be a driver, cook and a helper to manage your boat house cruise. The interiors of 1 day cruises are different because they don’t have beds and the cruise boat interiors vary from the demand of various Alleppey cruise tours. There are three kinds of house boat tours available. One is ac available only b/w 9 pm to 6 am,full time ac and non ac. Ask your travel agent which kind of ac is provided for you in your house boat. Be cool to select your choice. The charges will from 10000 to 27000 in peak season time. m looking forward to visit munnar and after a day sight seeing at munnar i would prefer to start with the house boat cruise. which location wud b the shortest location from munnar to start a house boat cruise. strolling thru back waters i wud like to move towards kollam or kovalam beach (whichever is better ) and then proceed towards trivandrum. V need to proceed back to kolhapur from where v intend to begin our journey. can v also c kanyakumari memorial or is it far away..
Greetings from alleppey houseboat club..! As per the present weather conditions monsoon will starts only after june 15th. its 100% safe to stay inside houseboat. There are different safety measures are used. Read more here https://www.alleppeyhouseboatclub.com/kerala-houseboat-safety-tips/. Nearest houseboat option when travelling from munnar is Kumarakom.But there are few houseboat available. Kovalam beach is better than kollam. While travelling to kovalam visit “Varkala Beach”, Which another best beachside.